Whalen (toe) reached a four-week injury settlement with the Raiders on Thursday, Michael Gehlken of the Las Vegas Review-Journal reports. 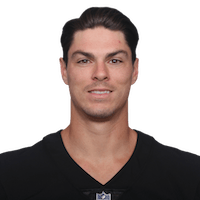 Analysis: While eligible to sign elsewhere at the moment, the settlement will allow Whalen to re-sign with the Raiders following the conclusion of Week 4. Prior to landing on injured reserve, Oakland was hopeful Whalen could be of service in the slot. The Raiders waived Whalen (toe) after reaching an injury settlement Tuesday, Doug Williams of NBC Bay Area reports. Analysis: Whalen was placed on injured reserve Monday, so the settlement came quickly. He was climbing up the wideout ranks at the time of his release, so he has a shot at a depth role with another team once he's healthy. Whalen (toe) was placed on injured reserve Monday, Michael Gehlken of the Las Vegas Review-Journal reports. Analysis: It took until about mid-August for the Raiders to slot Whalen ahead of Ryan Switzer on the depth chart, but the team seemed confident in Whalen's abilities as a slot receiver prior to the toe injury. There's a chance Oakland will look to bring Whalen back mid-season following an injury settlement, but in the short-term, it looks like his promising offseason will have been for naught. Whalen (toe) isn't expected to play the season opener against the Rams, Michael Gehlken of the Las Vegas Review-Journal reports. Analysis: Gehlken added that Whalen passed Ryan Switzer in the pecking order before Switzer was traded to the Steelers. 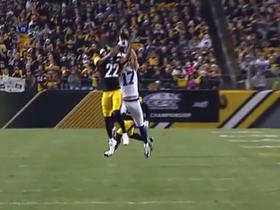 However, Whalen may have lost his chance at return-man duties to Dwayne Harris. Without that job in hand, Whalen will work as a gunner on special teams with minimal offensive impact. Whalen exited the locker room following Friday's preseason game sporting a walking boot, Michael Gehlken of the Las Vegas Review-Journal reports. Analysis: According to Gehlken, Whalen was later determined to have suffered a toe injury during Friday's contest. 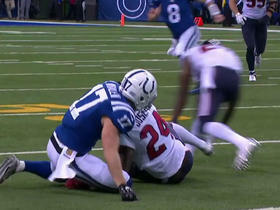 Thankfully, X-rays came back negative and the receiver was able to walk effectively in the protective boot. Whalen has been working ahead of Ryan Switzer in the slot during training camp, but if the former misses extended action, expect Switzer to gain additional snaps with the first team offense. Whalen has been working ahead of Ryan Switzer in the slot during training camp, Michael Gehlken of the Las Vegas Review-Journal reports. Analysis: Head coach John Gruden said Whalen and Switzer were "neck-and-neck" in the competition for the slot, but it looks like Whalen has a legitimate shot at landing a starting role after signing with the team in March. Special teams production will likely play a role in who gets the spot, as both Whalen and Switzer have excelled as return men. Additionally, Seth Roberts' return from an undisclosed injury adds another element to the competition. Whalen signed with the Raiders on Monday, Ian Rapoport of NFL Network reports. Analysis: Whalen figures to provide the Raiders with some added depth at the receiver position. He'll likely also challenge for a kick returning spot, but that's more speculation than anything else at the moment. 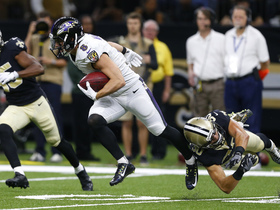 Whalen appeared in just two games for the Ravens in 2017. 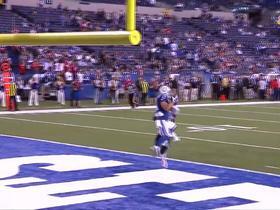 NFL Network's Omar Ruiz brings the latest information on the Ravens new additions, wide receiver Griff Whalen and tight end Gavin Escobar. 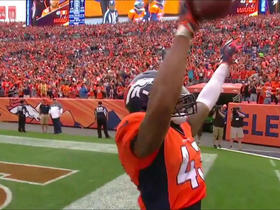 After recording a sack earlier in the game, Denver Broncos safety T.J. Ward adds an interception against the San Diego Chargers. 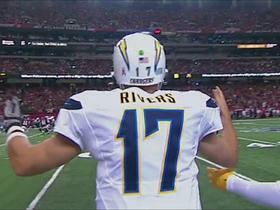 San Diego Chargers wide receiver Griff Whalen muffs catch on kick return. NFL Media's Marshall Faulk shares his picks of players who were big factors in their games. 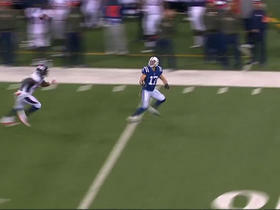 Colts Andrew Luck finds Griff Whalen for 38 yards. 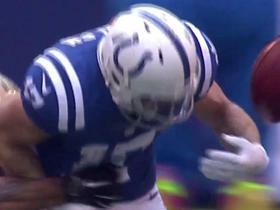 Saints recover Colts Hau'oli Kikaha's fumbled ball.